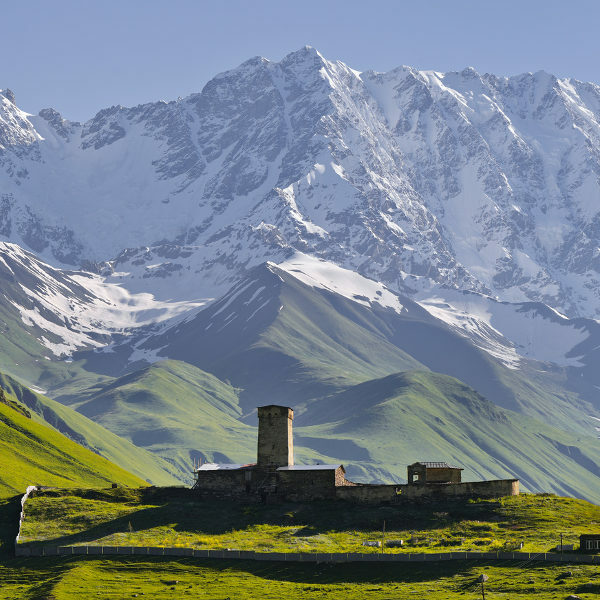 Situated at the intersection between Europe and Asia, Georgia is a scenic holiday destination. This charming nation, home to more than 3.7 million residents, is an adventurer’s paradise. Georgia offers you the magnificent Caucasus Mountains and beaches along the Black Sea. The top tourist attractions include the Aerial Tramway (Tbilisi), Dolphinarium (Batumi) and Prometheus Cave (Kutaisi). Get ready for a memorable adventure, because cheap flights to Georgia are now available for a limited time! The capital, Tbilisi, is the home of Tbilisi International Airport (TBS), a 25-minute drive or a scenic 45-minute bus ride from the city centre. The Caucasus Mountains occupy two thirds of Georgia while forests make up a significant part of the country. Because of this, you’ll have plenty of chances to enjoy views across gorgeous landscapes. There are many amazing architectural achievements for you to discover and admire in Georgia. These include the exceptional House of Justice (Tbilisi), amazing rest stops and the unusual Kutaisi International Airport. The beaches of Georgia are not only perfect for sun bathing or enjoying a refreshing swim; they also provide the ideal setting for the country’s nightlife. Top beaches include Gonio, Sarpi and Shekvetili. Deciding when to go to Georgia depends on your plans. There is no high or low season for tourism, so you are welcome to visit this country in Europe any time of the year. For the best conditions for going to one of the beaches on the coast of the Black Sea, visit Georgia during summer (June – August). While there is steady rain with little variation throughout the year, this season offers temperatures that range from the high 20s to the low 30s. Spring (March – May) offers moderate temperatures with increased rainfall during the latter months. Make sure you’ve packed in a raincoat and other rain-appropriate clothing. During autumn (September – November), the temperatures start to cool down. You’ll have the chance to enjoy a wonderful change of scenery with the trees’ leaves coming out in a range of colours. Winter (December – February) is when the snowfall begins, making this the best time for skiing. The country of Georgia is one of the most beautiful destinations in Europe, with the fantastic Caucasus Mountains and a coastline running along the Black Sea. This fact alone makes up for this post-Soviet nation’s lack of size, which only adds to Georgia’s exceptional charm. Go on adventures through green valleys as you enjoy spectacular views over numerous vineyards. Georgia is additionally famous for its wine production. Add this to the local’s high standard of hospitality, and you have one of the best holiday destinations in the world. Tbilisi, Georgia’s capital, offers you a picturesque setting deep in a valley along the Kura River. Explore the streets of this city and admire the charming architecture, with buildings like the Justice House and the Music Theatre and Exhibition Hall. 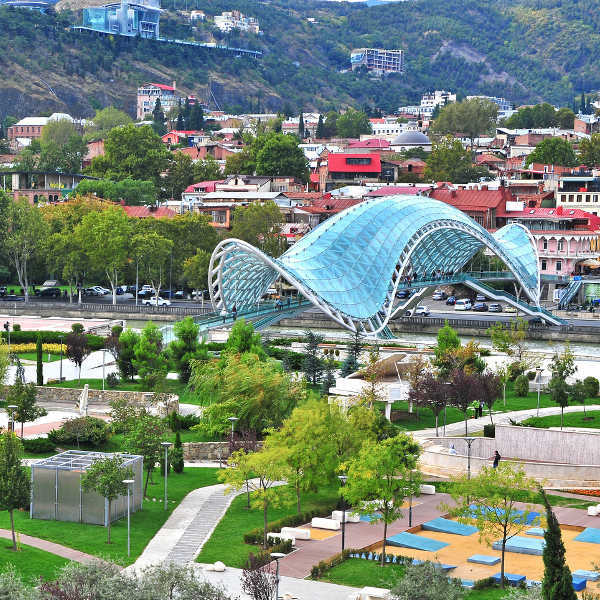 Tbilisi’s major attractions include the Altstadt, the Sameba Cathedral and the National Botanical Garden of Georgia. 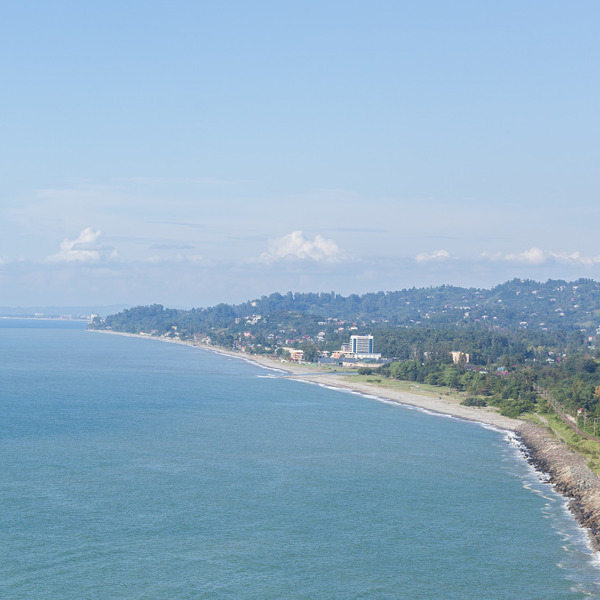 For the coastal holiday experience, visit Batumi. This beautiful port city is home to the Batumi Boulevard, which leads to an alluring waterfront promenade. Get more wonderful views of the ocean from the Alphabetic tower, which stands at 130 metres. Be sure to visit the waterfront in the evening, and watch as this scene lights up in various colours for Batumi’s vibrant nightlife. Kutaisi, Georgia’s legislative capital, sits on the Rioni River. Take a stroll along charming tree-lined streets while admiring 19th century houses. Two UNESCO World Heritage Sites call Kutaisi home: the Gelati Monastery and the Bagrati Cathedral. Among this city’s major sights, there is the Okatse Canyon and Sataplia Cave and Nature Reserve. Compare several airlines and book your cheap flights to Georgia online at Travelstart! Georgia enjoys the reputation of having one of the lowest crime rates in Europe. While it is rare, there have been reports of muggings in the capital, Tbilisi. The exception to Georgia’s reputation is Kutaisi, which has a slightly higher crime rate. Take care when exploring this city. Beware of separatist regions like Abkhazia and South Ossetia. These are areas that are not under control by the government and there is no police presence.